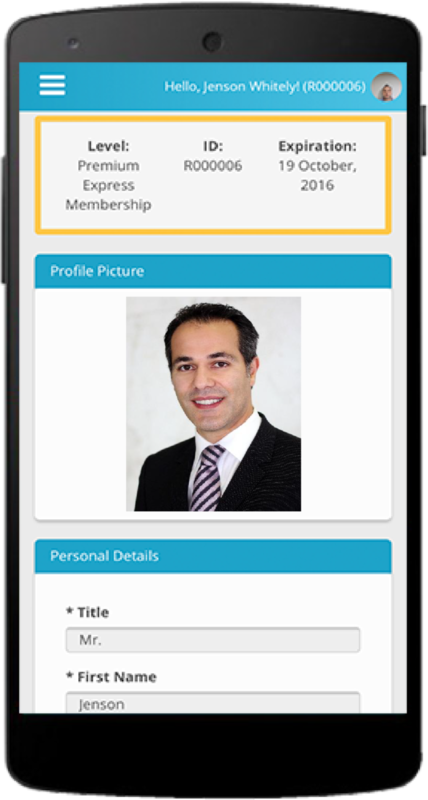 Stay compliant when you’re on the go with the SEC3URE mobile app. At IntelliCentrics UK, we simplify the world of policy compliance and enforcement by providing resources and tools to help Trusts make their operations safer. We are the global leaders in assisting hospitals to improve staff, patient and visitor safety by ensuring commercial visitors comply with their policies on safety, duty of care and clinical governance. We are trusted by over 10,000 healthcare facilities to convey, and manage acceptance of, their policies, obtain and manage credentials and extend privileges to visitors of all types. As the provider of SEC3URE, the most trusted healthcare policy compliance and enforcement service globally, we pride ourselves on our unparalleled track record of vigilantly assisting hospitals to improve the health and safety of their patients and staff. 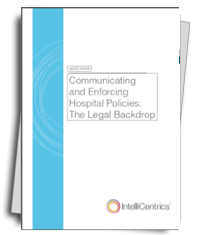 As a security company with 20 years of experience and the provider of the SEC3URE service, IntelliCentrics is uniquely qualified to help hospitals manage the safe and policy compliant access of all of their visitors. 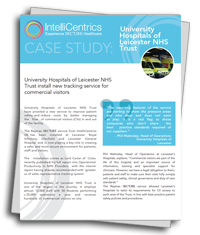 Over 10,000 healthcare facilities already trust IntelliCentrics to fulfil this, managing over 550,000 commercial visitors. 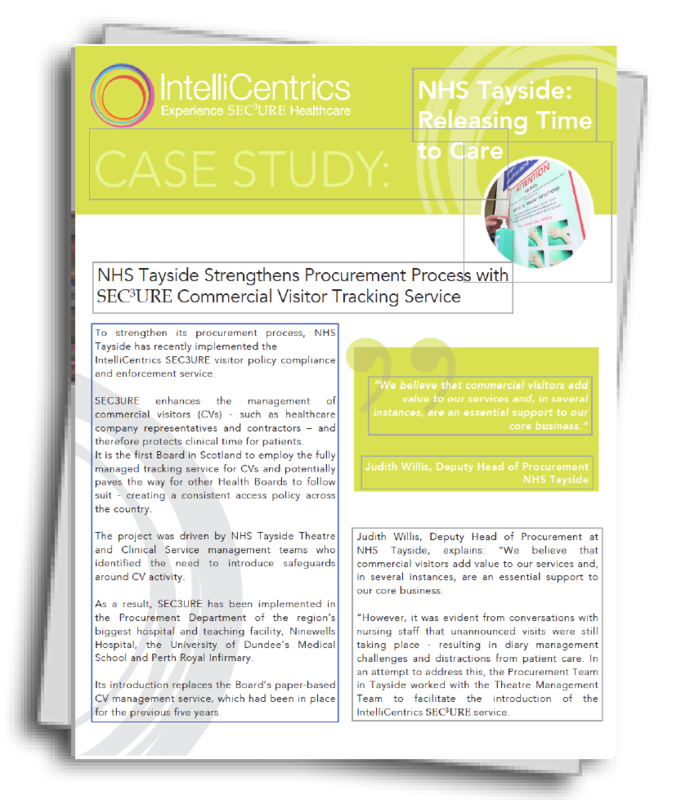 To strengthen its procurement process, NHS Tayside has recently implemented the IntelliCentrics SEC3URE visitor policy compliance and enforcement service.